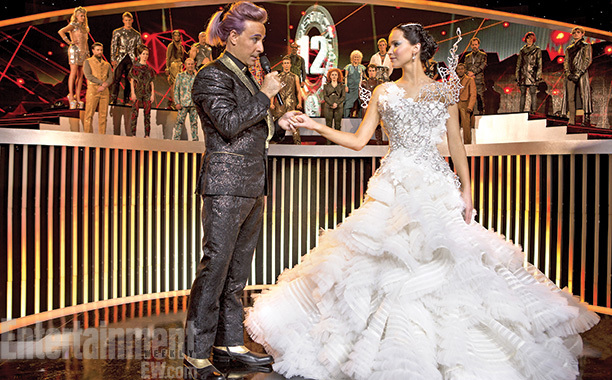 A new Catching Fire still has been featured in EW's Comic-Con issue. (Will hit newsstands on July 19th.) 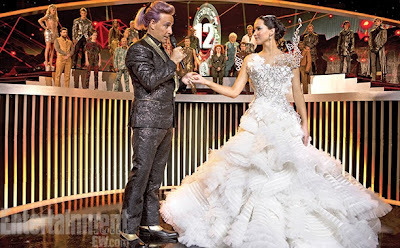 The new still features Katniss in her wedding dress, talking to Caesar. It is believed that the other victors are seen in the background. This post will be updated with the HQ image as soon as it's available! A small feature accompanied the new still in the magazine. Check it out here. Thanks to @epnebelle on Twitter.